Carl Fischer Festival Performance Solos. Classical. Trumpet solo book. With standard notation. 34 pages. Carl Fischer #O005541. Published by Carl Fischer (CF.O5541). ISBN 825845483. 9x12 inches. Transcribed by Gerardo Iasilli. Contains these pieces and more! The Carl Fischer catalog is a treasure trove of solos for all the major band and orchestral instruments. Many of these titles have gained the special recognition that being selected for a state required music list or festival list confers on a piece of music. We are pleased to offer these new collections for Flute, Clarinet, Alto Saxophone, Trumpet, Trombone and Violin. Each instrument is provided with two volumes of solos progressively arranged to challenge the student as he or she develops as a player. Selected and compiled by Andrew Balent, each of the pieces included in these books is contained on one or more state contest list and many have been difficult to obtain. 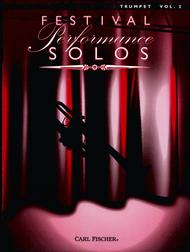 Piano accompaniments for all the solos in each volume are provided in a separate book for each instrument. 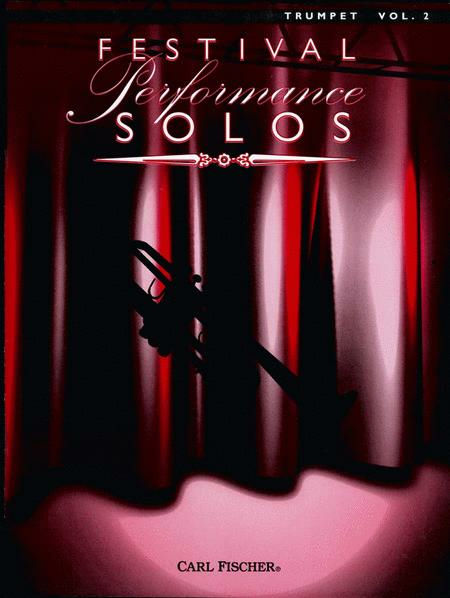 Getting the solos your customers have been asking for just became as easy as checking the contents of the books in Carl Fischer's Festival Performance Solos series.